We’re pretty sure we achieved the “Rainbow Connection” at last night’s screening of The Muppet Movie. Movie-goers were extremely generous in their donations, and we at King County Parks thank you from the bottom of our heart. 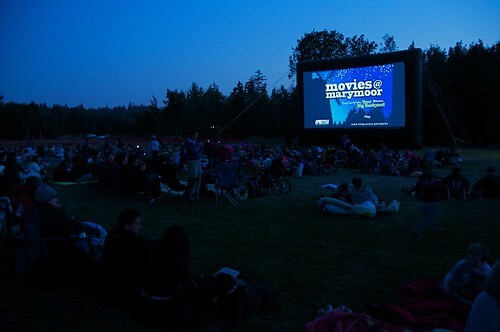 Your donations allow us to keep providing activities in our parks, like the annual movie series. Couldn’t make it? Witness the whackiness that ensued when special guest EMP|SFM took the mic (see video below), and please do join us next week for The Spiderwick Chronicles on Aug 12th. A hearty thanks to EMP|SFM for the generous donations of passes and prizes, and make sure to stop by their Jim Henson’s Fantastic World exhibit before it ends on Aug 16.